Yowsa. Somebody needs to open a gallery of chicken wing pictures. A picture of these Detroit hot honey wings would be right by the entrance. Under heavy guard. I loved them more than I ever thought I would. They’re almost like your standard Buffalo wings with one very obvious addition: sweet honey. Oh, and cayenne. Sweet heat, exactly what you’re searching for in a great wing. You can add more cayenne pepper to the wings as they marinade if you like, but I leaned towards more sweet than heat when I made Detroit hot honey wings. The sauce is so great you could eat it by itself. I think it might also make for a great ham glaze too. And it would also make for a great sauce over roasted or grilled chicken. If you like your wings with a little heat and a little sweet, also try my Spicy Honey wings or Dragon Fire wings. Note: If you like your wings nice and saucy, double the sauce recipe. You won't be sorry that you did. Add the cayenne, salt and pepper. Seal the bag, and toss gently to coat. Whisk in the honey and butter. 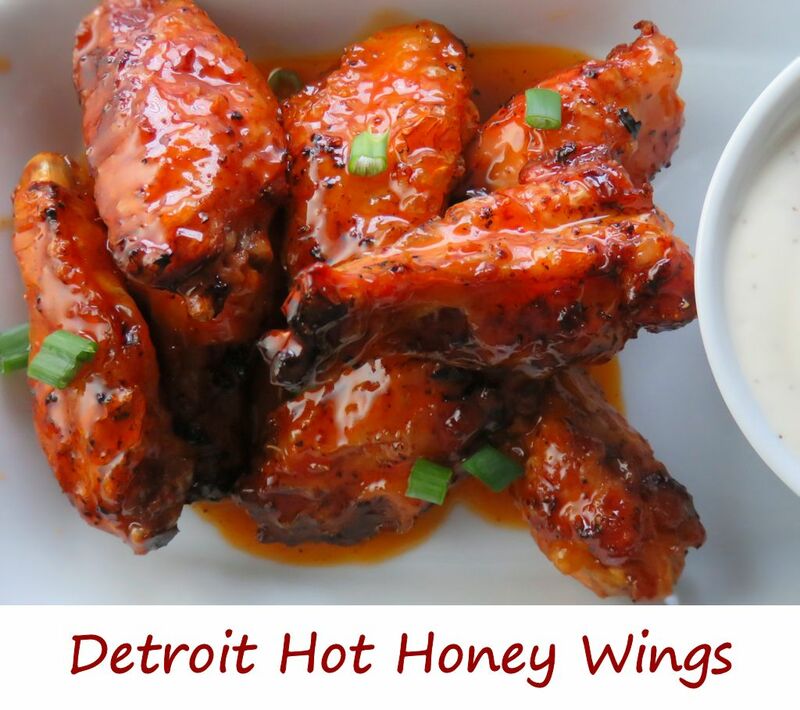 This entry was posted in Chicken Wings and tagged Detroit Hot Honey Wings, recipe by Mike. Bookmark the permalink.